Get in shape. Work out more. 6-pack abs. 20 minutes of cardio every day. Most everyone has a fitness New Year’s resolution to go along with their renewed commitment to GET ORGANIZED! Here at SpaceMan, while we don’t know too much about toning your body, we do have tips to help you get organized, leaving you more time and less stressed so you can focus on your fitness goals. Don’t start with a huge project that will take you weeks to complete. This will kill your momentum and motivation faster than you can imagine. 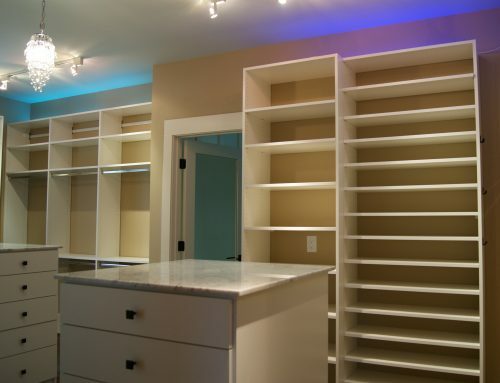 Start with a small project or area in your house that you can tackle fairly quickly and easily. – One shelf in your closet. – One rack of clothing in your closet. – One shelf in your pantry. 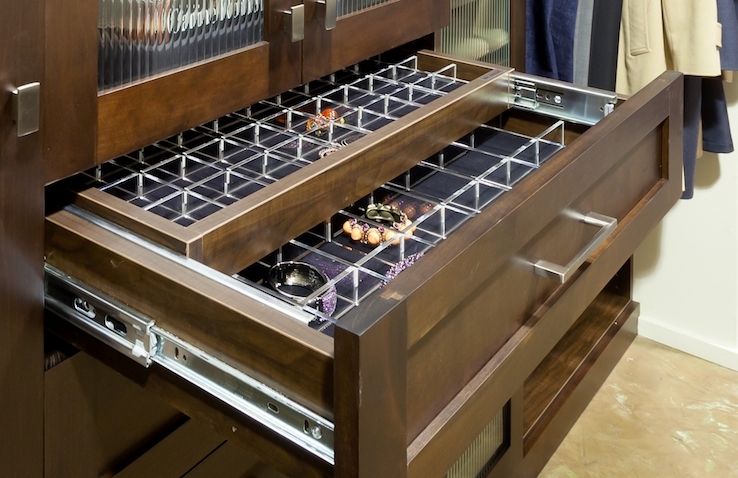 – One drawer or one shelf in your garage. These tasks may not seem like much, and organizing the entire kitchen or closet or garage may be your ultimate goal. But you are not likely to do it all in one day. Doing a little at a time will get you to your goal without burning you out in the process. Most of the items in your home that create clutter aren’t large, expensive items that you struggle to make decisions about. It’s the little items that have become such a part of the landscape of your home that you don’t see them anymore; they’re invisible and all you see when you open the cabinets and drawers are the items you are looking for. – Old socks you’ll never wear again. – T-shirts from events 10 years ago. Once purged, the organization is the easy (and fun) part. Most likely, you’ll now have so much room, it will be easy to group like things together and put the most commonly used things in the most accessible spots. 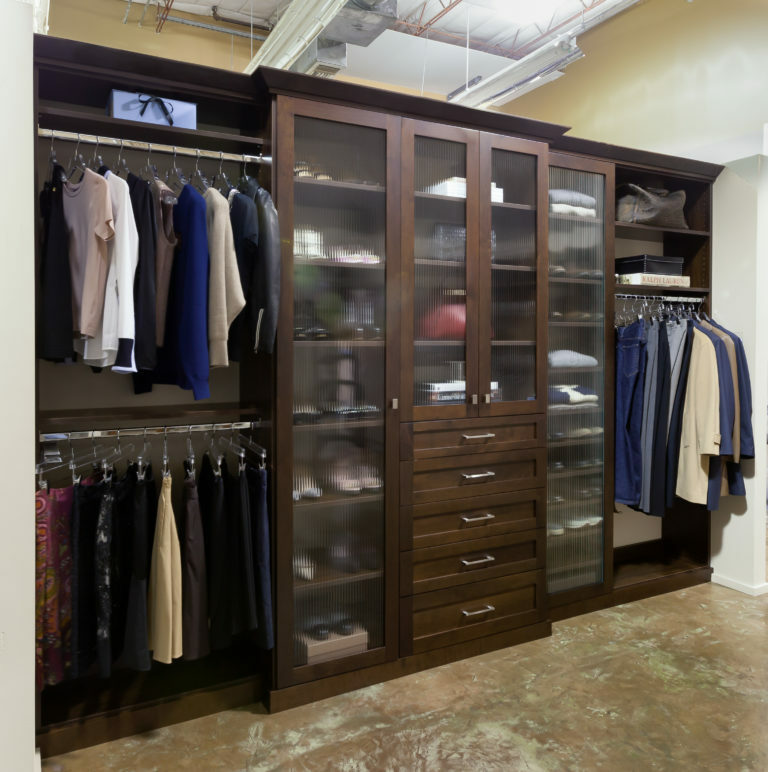 If you want to take your organized life to another level, ask SpaceMan to design a closet, pantry, garage, Murphy bed or home office storage system for you. Call today to schedule an appointment and let us help you keep your resolution to be organized in 2019!